She'll be bundled and warm in the Hot Chillys Heather Dot Scoopneck Baselayer Top. A perfect choice when layering is a must this baselayer top is designed to be comfortable with a brushed back for added warmth and a crew neckline that doesn't feel restrictive. 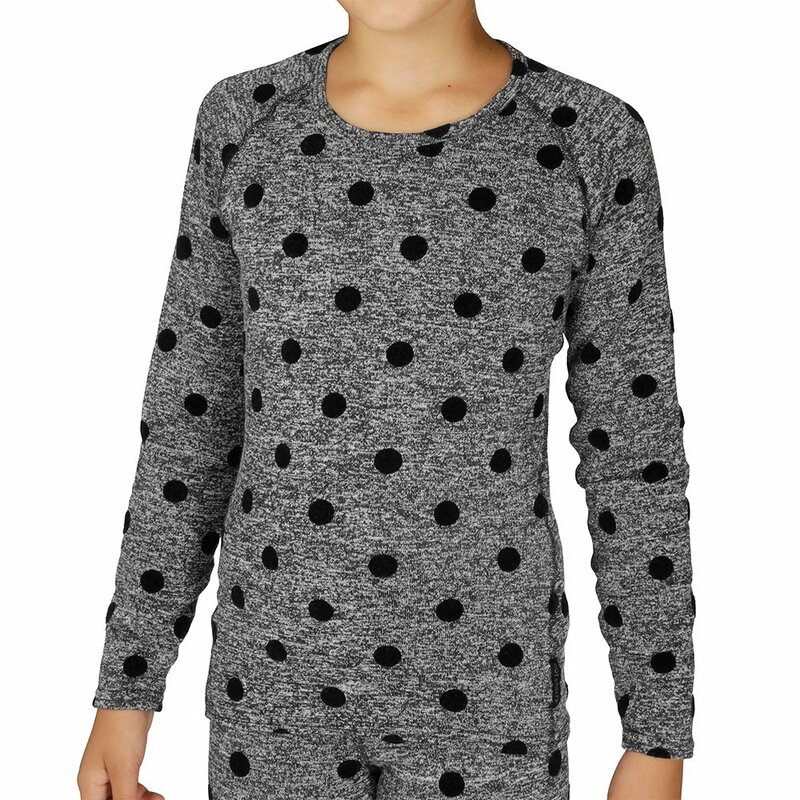 This sweater knit fabric features a fun polka dot pattern that will not only protect her under her ski jacket but will keep her look absolutely adorable when she's having her hot chocolate in the chalet.